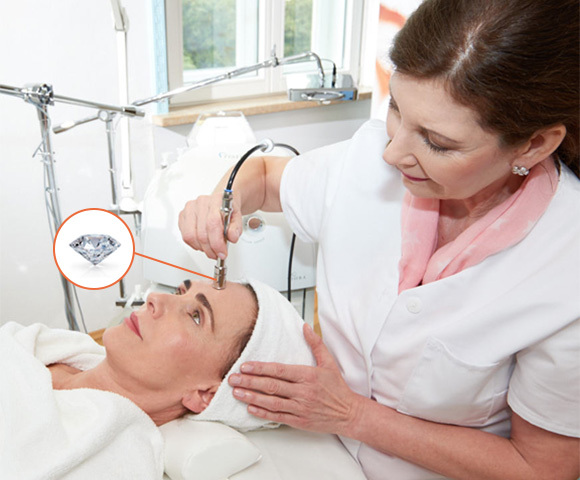 Attached to a handpiece, the various fine, extremely hygienic diamond tips are passed over the skin, using different techniques depending on the skin type. This treatment removes the corneal layer with greater precision and control than conventional exfoliation treatments. FineSkin uses this highly effective procedure as a preliminary treatment to all our other treatments (NLite V3, Micro-needling by BDR, electro-mesotherapy and ultrasound.